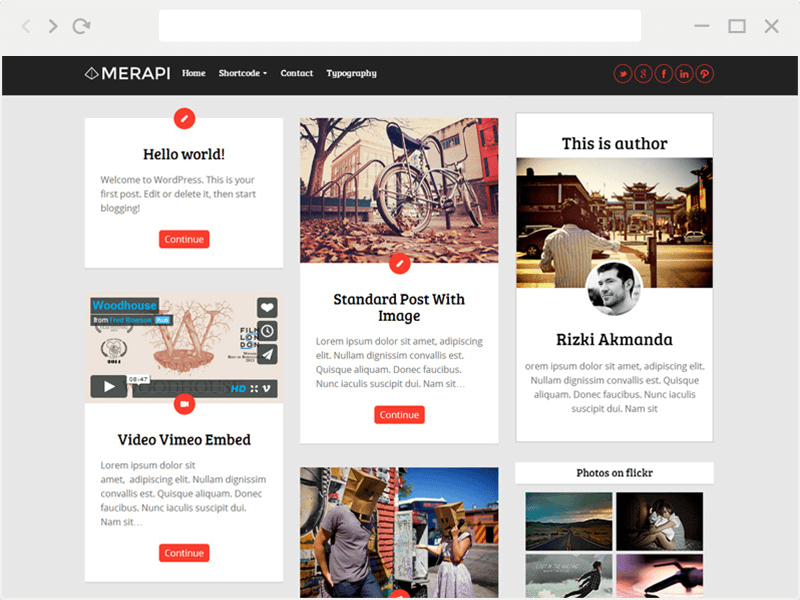 Merapi is modern and clean blogging WordPress theme from ThemeAwesome. This theme is so hot with orange color like the vulcano lava. 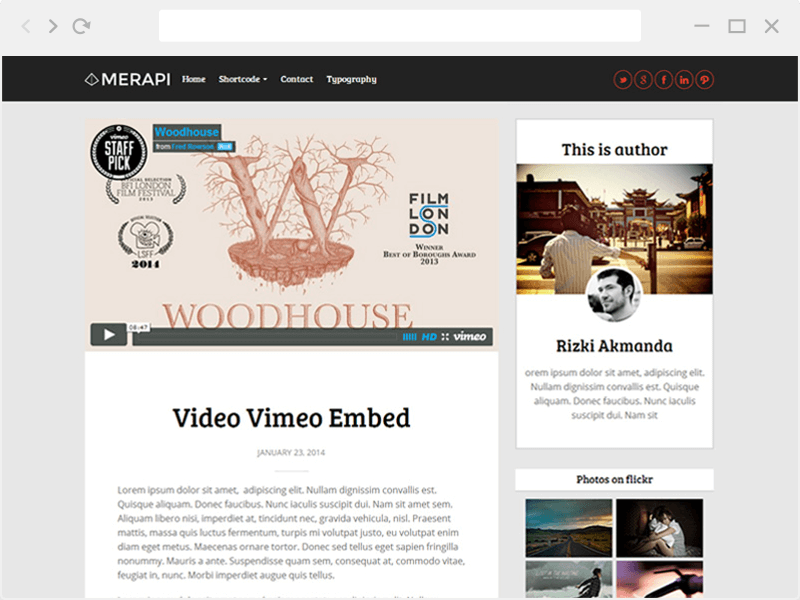 Suitable for all kinds of magazines, news websites, personal blogs, journal, story and other related projects, with an emphasis on mixed media and typography. 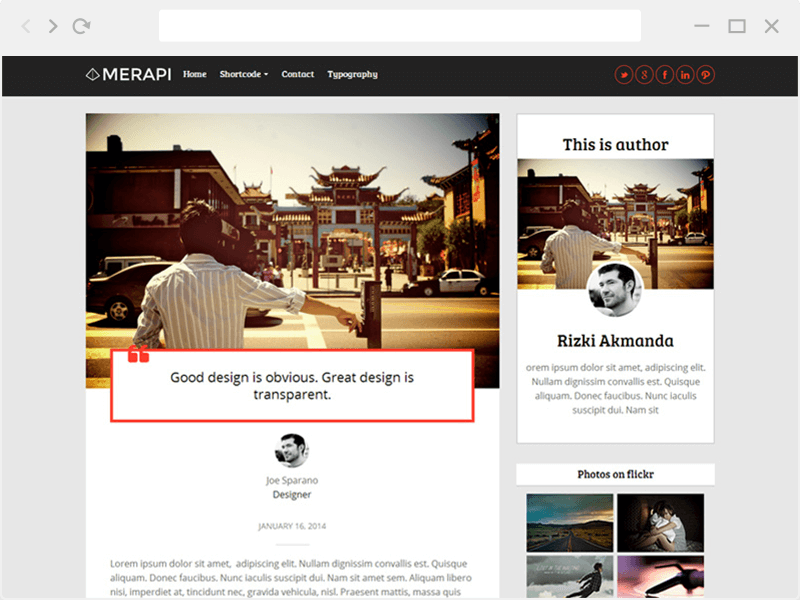 Merapi is Responsive, the theme is highly optimized for both mobile and desktop platforms. The layout also will encourage your viewers to read all of your content and get all attention it deserves. Just contact us for our personal help, we love supporting our customers!